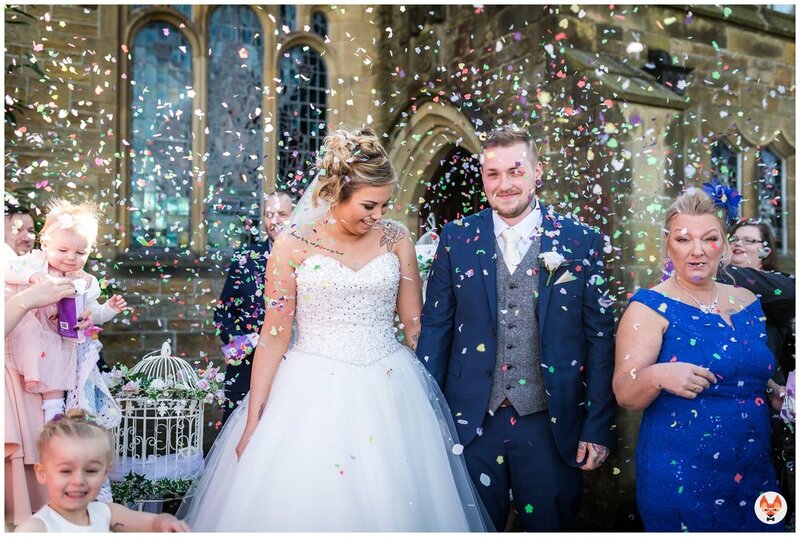 Becky and Callam picked a local church for their service in Morecambe overlooking the stunning bay. With the sun shining you could see all across the bay to Barrow and the view was stunning! The morning was full of excitement with everyone in good spirits including the children who were playing and running around. 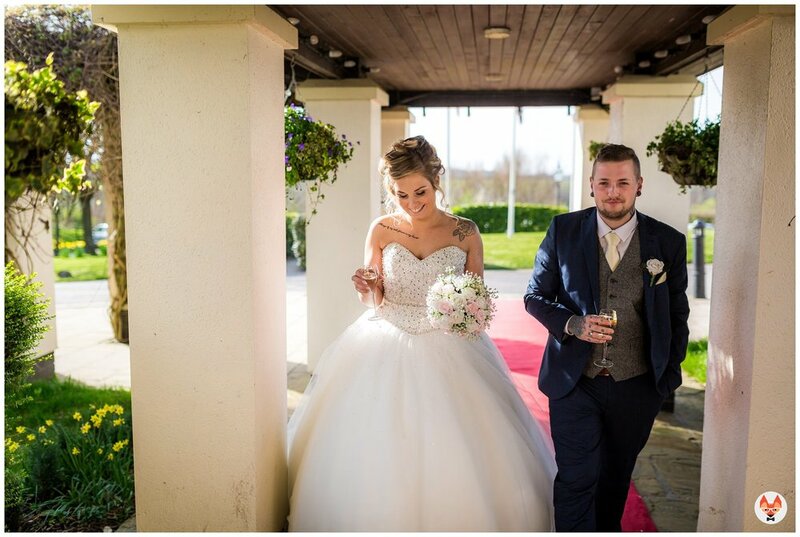 Becky had chosen Converse All Stars as her wedding shoes which are an awesome idea as they're super comfy and look great!! 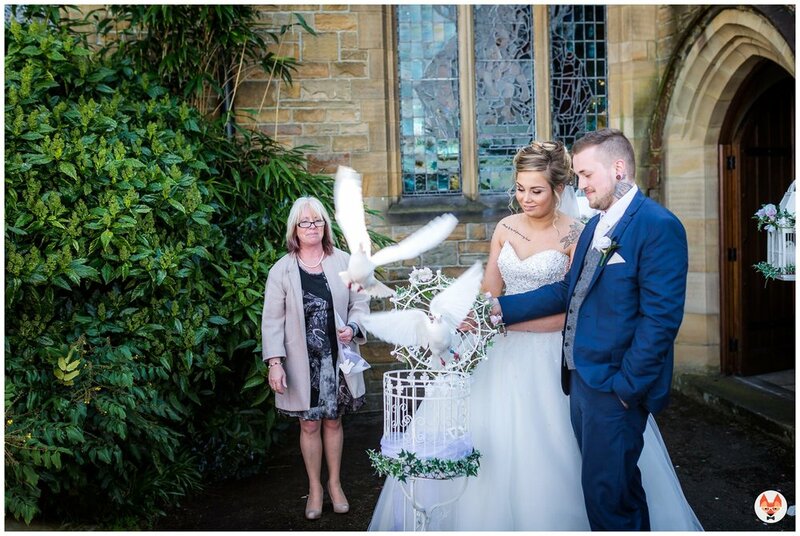 When she arrived to the church she was met with Doves that Callam had arranged without her knowing, which were a great surprise and allowed for some real natural photographs. The service was full of emotion and it was such a pleasure to witness. After the service guests headed over to Lancaster House Hotel while we did a small detour to the lake within the University grounds. We made the most of the glorious weather and took some natural photographs within the grounds before heading back over to the wedding car. When we arrived at the hotel guests were chatting and having a good time, allowing me to capture some documentary images, before being called into the wedding breakfast. Later in the evening we had an amazing sunset and had to take advantage of it so we headed outside for some extra portraits. Sunset is a great time for photos as it always creates something stunning! 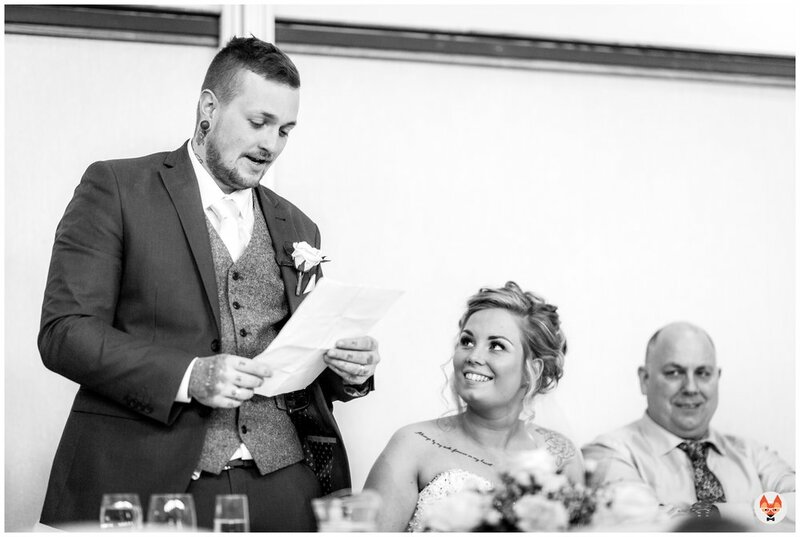 If you're getting married and looking for a creative, modern and fun wedding photographer in Wigan or around the North West then be sure to get in touch! 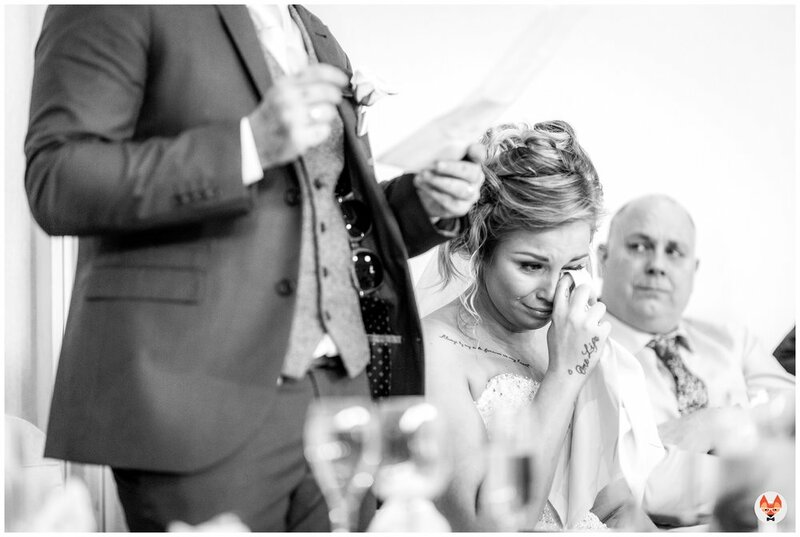 Being a Lancashire House Hotel Wedding Photographer is always a pleasure with plenty of photo opportunities! VBLOG number 2 - Back to back weddings and a hot tub!